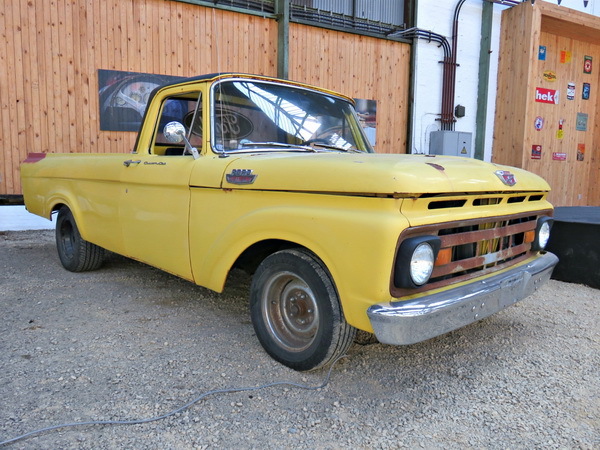 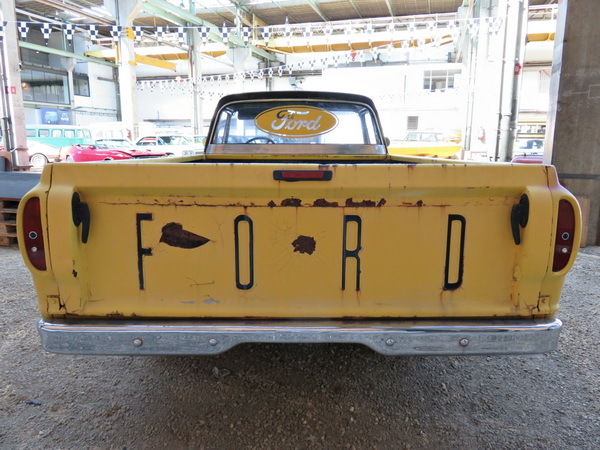 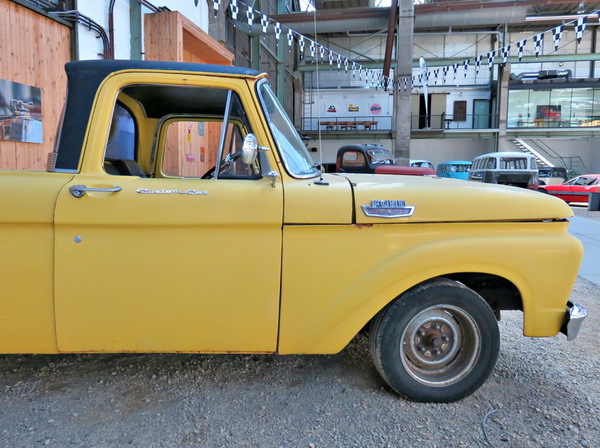 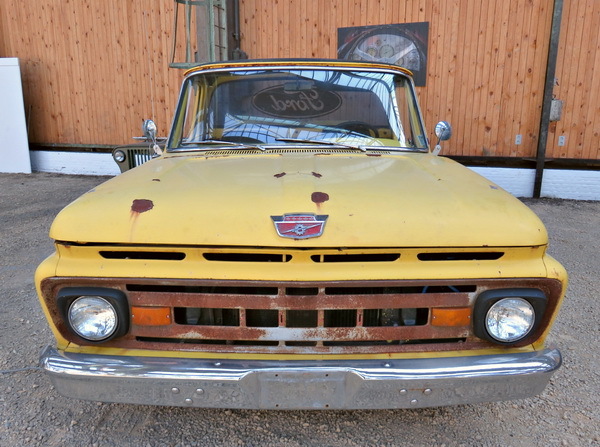 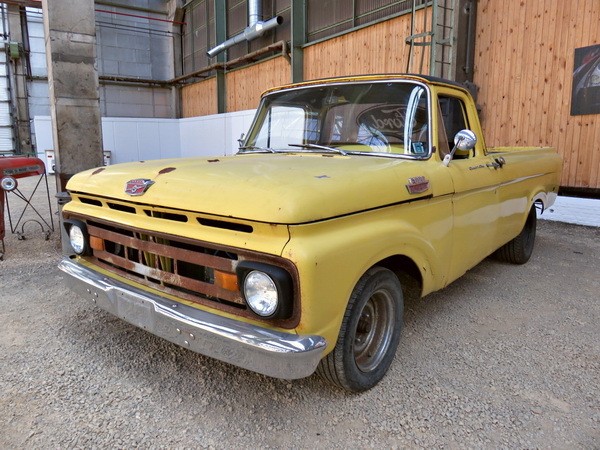 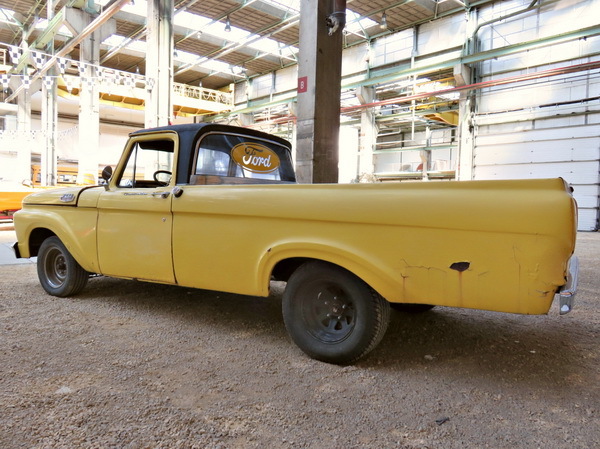 This F100 is the first model of the fourth generation Ford F-series. 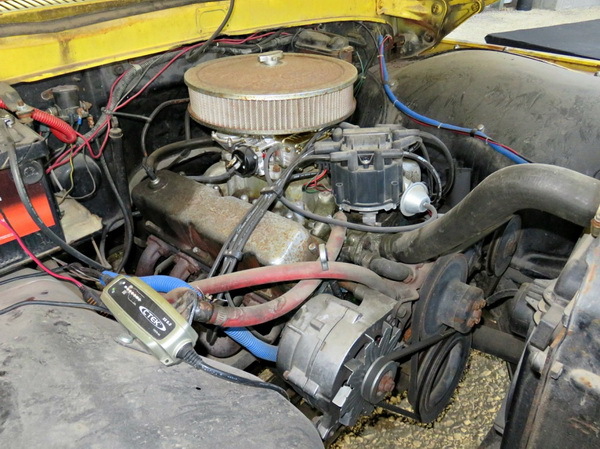 New about this generation is the unibody which connects the cabin and box to one piece. 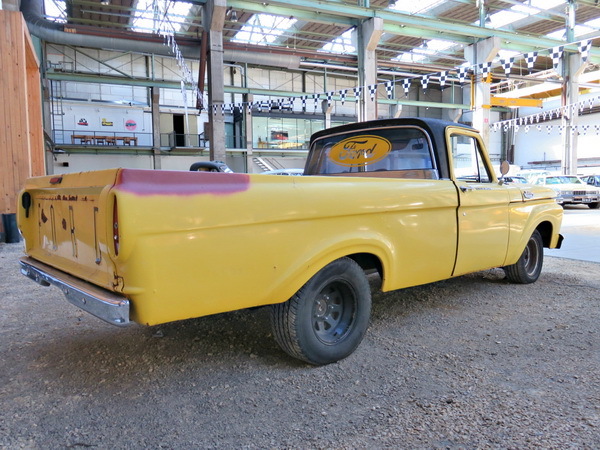 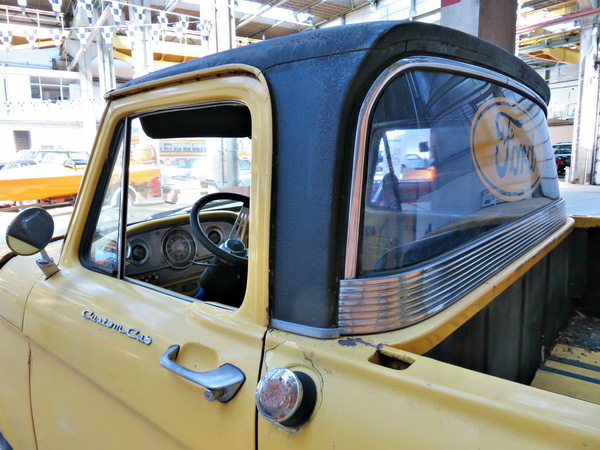 Remarkable about this truck are the curved front and back window which are in perfect condition. 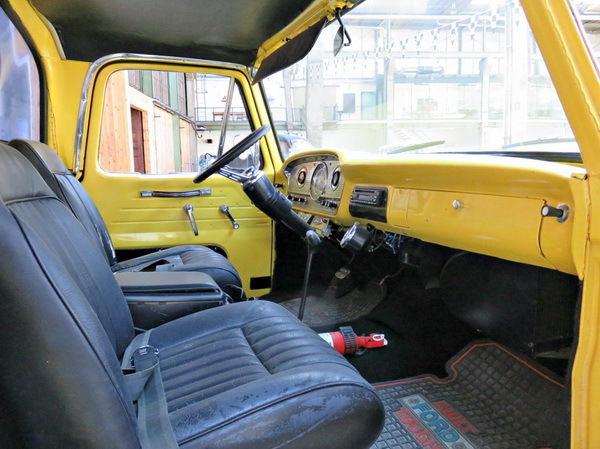 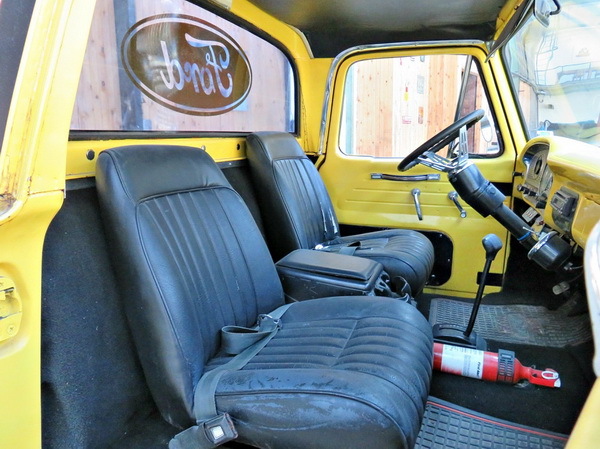 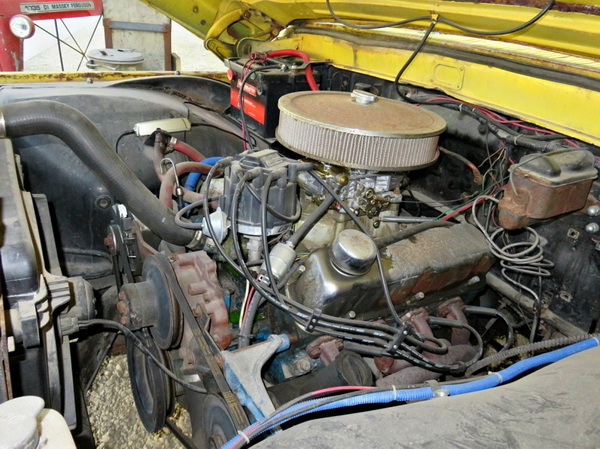 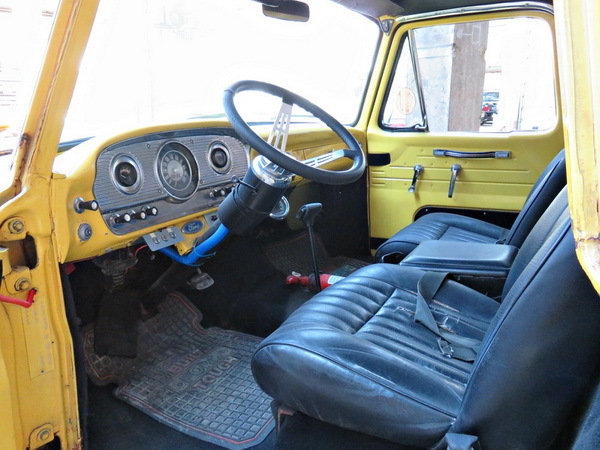 The F100 has an 8 cylinder 292ci engine producing 186hp with automatic transmission. 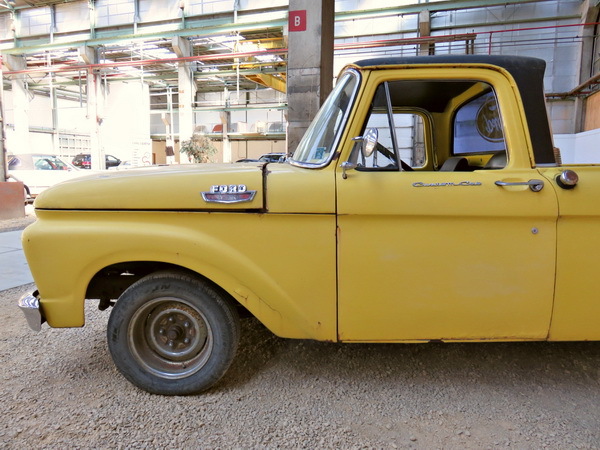 The truck is in driving condition.